2017 is an important landmark for Strata, as we are celebrating 10 years of business. To commemorate this special occasion Strata chartered the Seafin for a sailing day on the Solent cruise. 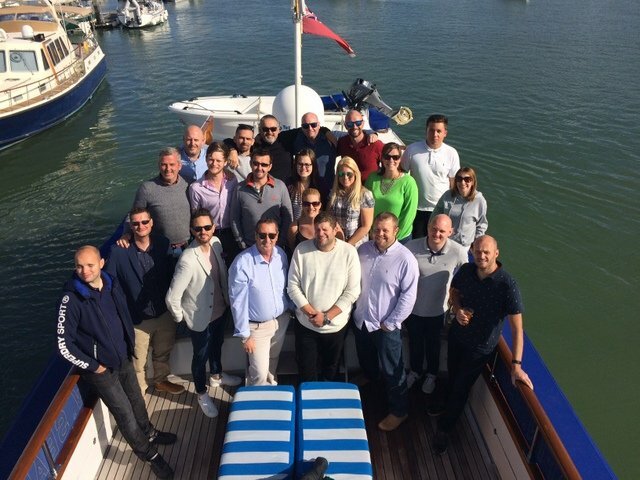 This included a stop at Bucklers Hard, lunch, jet skis, an opportunity for some to swim before afternoon tea and returning to port. Nick Law, Managing Director, thanked staff for their hard work and continued commitment to Strata’s core values of Quality, Service and Collaboration. He noted how Strata has continued to grow and excel across all the services offered for the built environment – Construction, Planned and Reactive Maintenance, Commercial fit out, Refurbishment and Storage and Logistics – which was possible due to the loyalty and dedication of staff. Special congratulations to Martin Burgess, who has been at Strata since 2007. We look forward to the next 10 years.